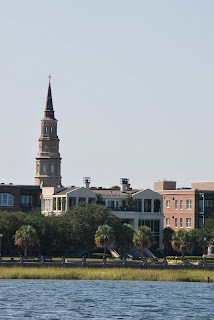 Charleston, South Carolina is a historic town along the eastern coast of the state. It is a beautiful destination filled with tons of things to see and do. Charleston was founded in 1670, and contains many buildings that pre-date the American Revolutionary War. Charleston is very reminiscent of both Monterey and San Francisco, like both cities, Charleston is situated on a peninsula. The Charleston peninsula is formed by the confluence of the Ashley and Cooper Rivers; the two rivers come together to form Charleston Harbor (or, as Charlestonians like to say, the Atlantic Ocean.) Like San Francisco, there are many areas of Charleston that are built on fill. Also like San Francisco is the fact that Charleston fell victim to a large earthquake in 1886, 20 years before the Great Quake of 1906 hit San Francisco. There are many things to do in Charleston. Within the town itself activities include walking the historic streets and sightseeing, taking a carriage tour, shopping in the historic market, visiting the South Carolina Aquarium, or visiting some of the historic house museums. 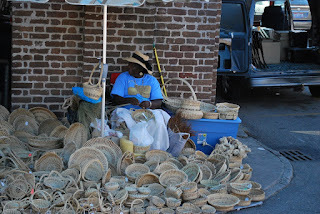 One of the most authentic souvenirs of Charleston is the sweetgrass baskets, which you can purchase at the market and throughout the Charleston area. The basket making craft was brought to Mt. Pleasant, east of Charleston on the banks of the Cooper River, by African slaves. The sweetgrass baskets are made by hand in the traditional manner. Today, it is the oldest form of African art in the U.S. The areas surrounding Charleston are home to many activities, including historic homes and plantations, beaches, golf courses, wildlife areas, and more. Choosing what to see and do is a difficult decision because there are so many choices. You are only limited in what you do by your budget and your time. 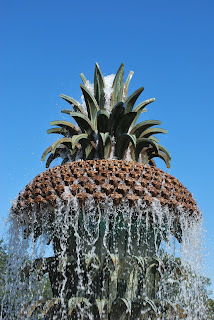 I will explore specific activities in Charleston in other posts.